All text and photographs by, and copyright of the Author unless otherwise stated. 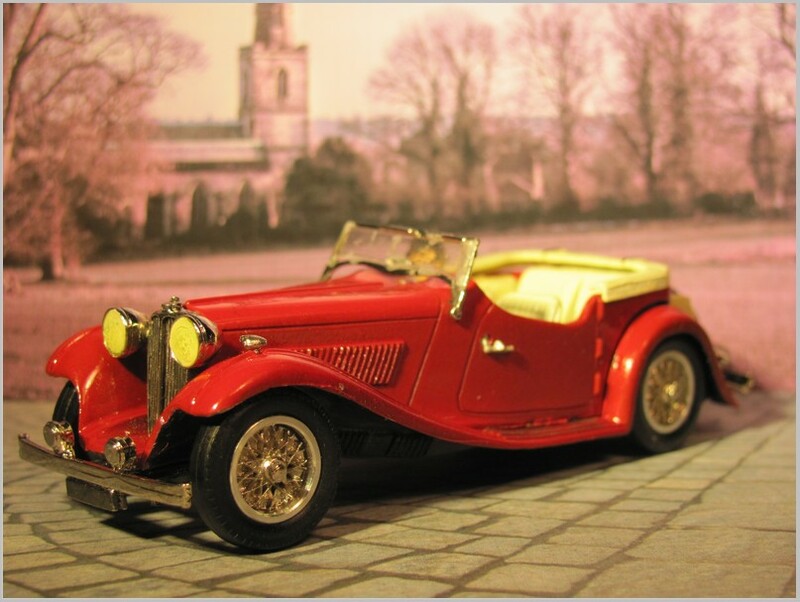 Around 1973 Mike and Joyce Stephens started a little company to produce white metal model cars in both kit and built forms. By the 1980’s, their Somerset, England, firm had over thirty employees and were building under their own Western Models name and also for Motor City USA and other companies. Chinese competition cut their success and they became a smaller firm. They retired about 2007 and sold their firm, which now produces mostly plastic airplane models. 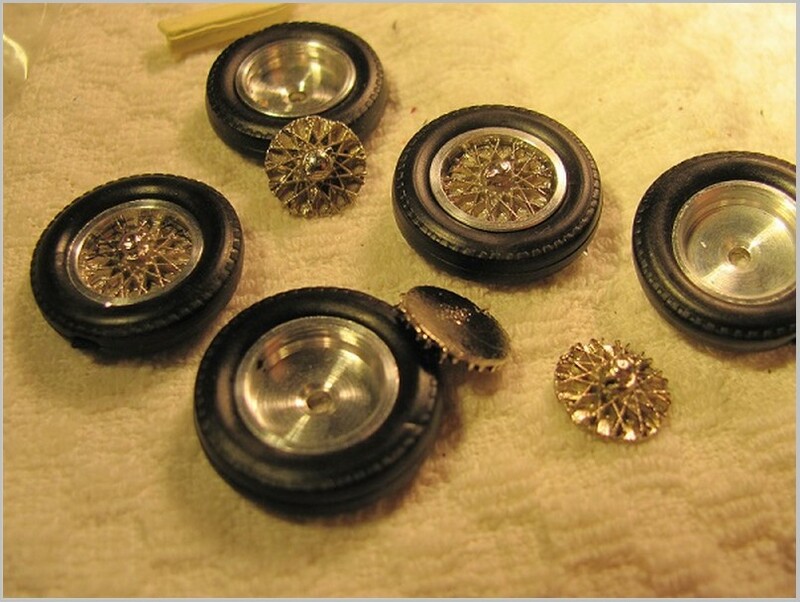 (Editor’s note: Their 1/43 American model cars were bought by an American firm and are now sold as detailed handbuilts!) 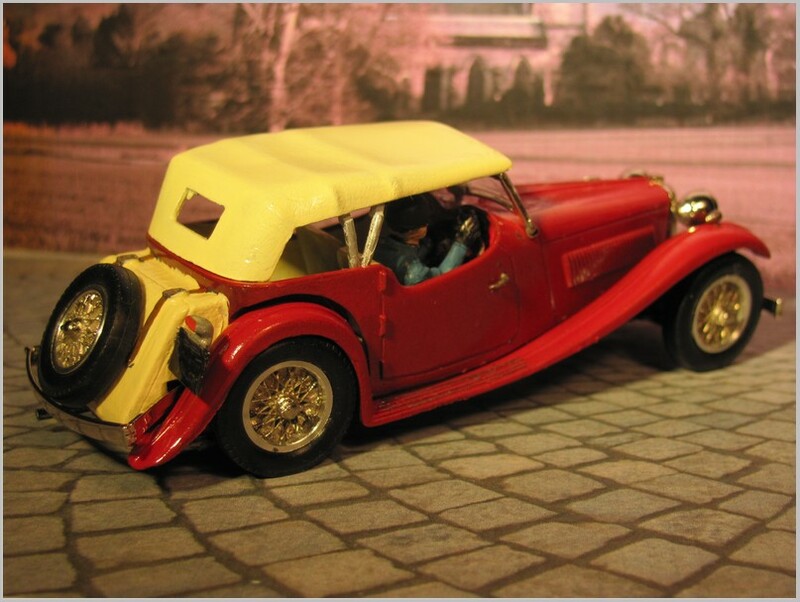 But for several years, the Stephens’ Western Models, in both 1:43 and 1:24, were admirable projects for amateur builders. 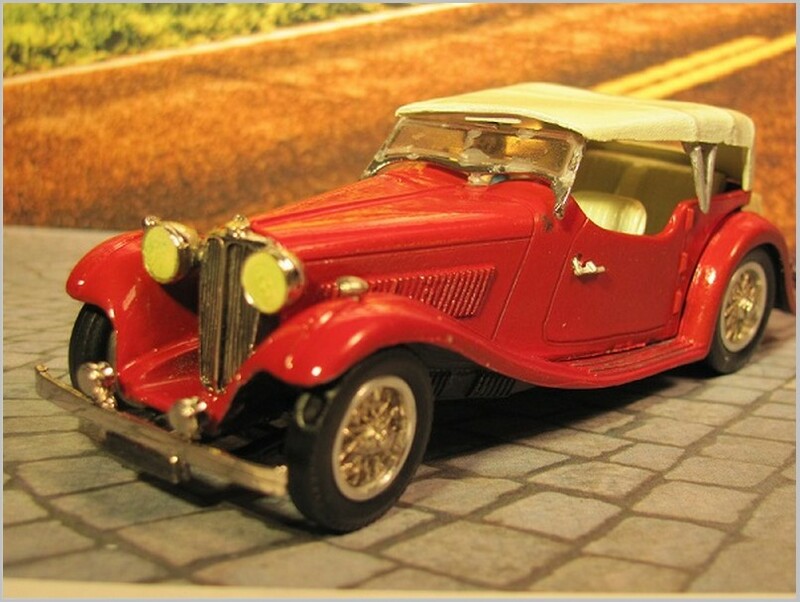 This is one of them, Number 43, the 1936 SS1 Tourer, probably produced in the early 1980s. 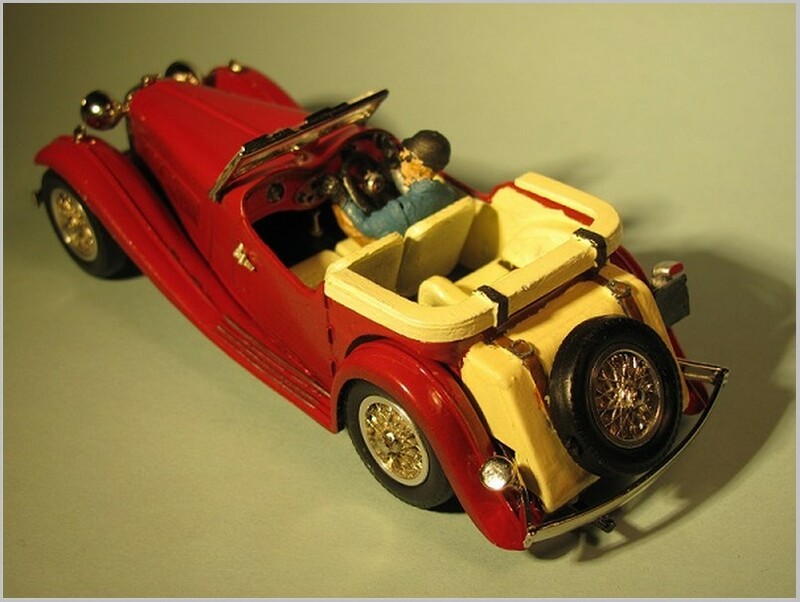 Its 1:1 master was built in the mid-1930s by SS Cars Ltd., perhaps at that time better known as the old Swallow Sidecar Company and later as Jaguar. I bought it on eBay for less than 20 US Dollars. Buying models on the secondary market (that means “used” or at least “previously owned”) can be risky. These parts can be small, tiny, miniscule, and all that means “easily lost.” This one I found in sealed envelopes, but somehow by the time of final assembly one door handle was missing. I fashioned a replacement and it seems okay. After all, one can’t see both sides of the model at the same look. If you’re in a hurry, avoid white metal models. Go find a plastic Heller product and enjoy construction without filing. 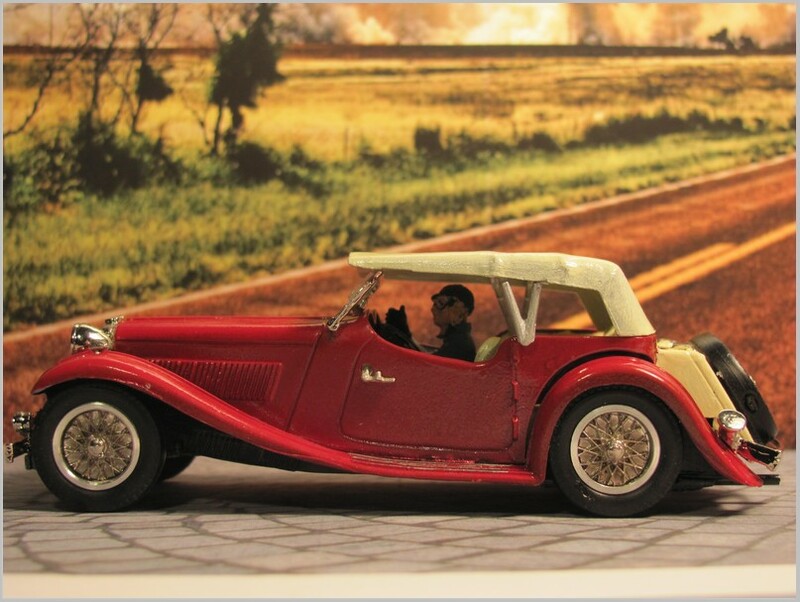 I recently finished a Heller 1:43 Citroen 11CV and had a lot of fun with it. Well . . . I may have touched it a little with sandpaper a time or two. Keep an eye out for special features, and also for special problems. This Western SS has some of the best looking wheels I have ever used. They are almost jewelry. I buffed them a little with the Dremel’s soft brush and then mounted them. I also added a driver, probably an Arttista but I’m not sure. Getting him under the wheel was another “file to fit” chore. And fitting the windshield? Right now, after all the photography, the model is out on the desk with no windshield, waiting for yet another fitting. In one of the pictures, I noticed a gap where the body’s rear side panel meets the rear fender. Yep. It’s there. I tried to readjust it with the rear screw, but it doesn’t happen. This one I will live with. Finally, develop a thick skin. 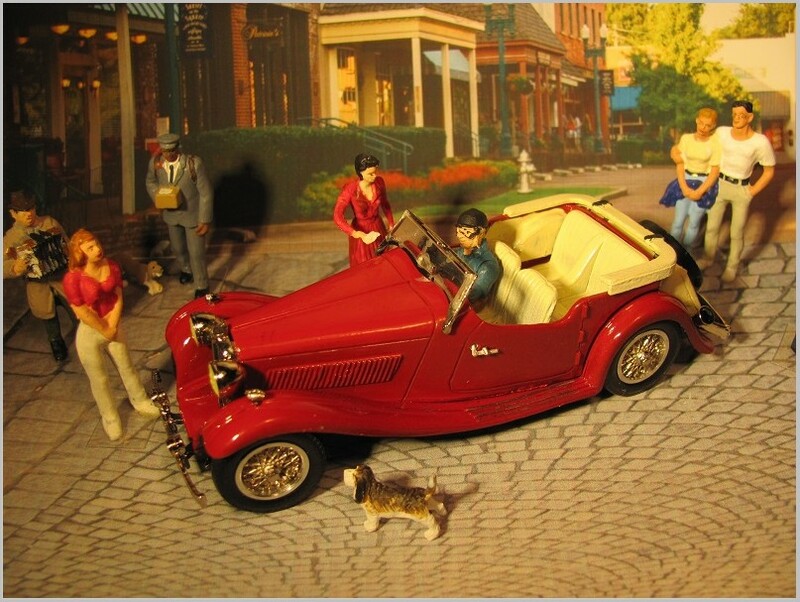 There’s nothing like a combination of zoom lenses, enlarged pictures, and collectors who buy 200-dollar models assembled by the nimble fingers of people who grew up with chop sticks to point out flaws in your completed final product. 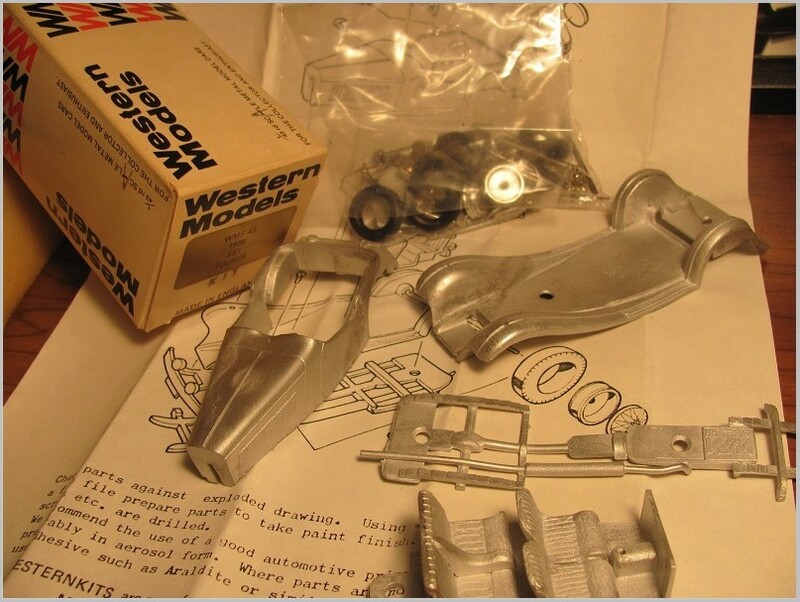 Remember: building white metal models in 1:43 scale is fun. That’s the mantra to keep mumbling while down on the floor hunting for that door handle.